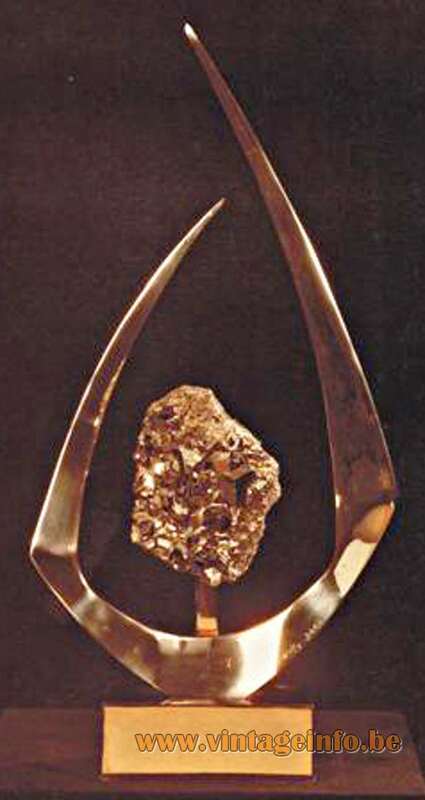 Materials: Brass, travertine/limestone base and a agate geode. Probably from the quarries around Idar-Oberstein in Germany. Maroon cardboard lampshade. Gold painted Bakelite socket. Any type of light bulb can be used, not a specific one preferred, but a clear bulb gives always the most beautiful effect on minerals. 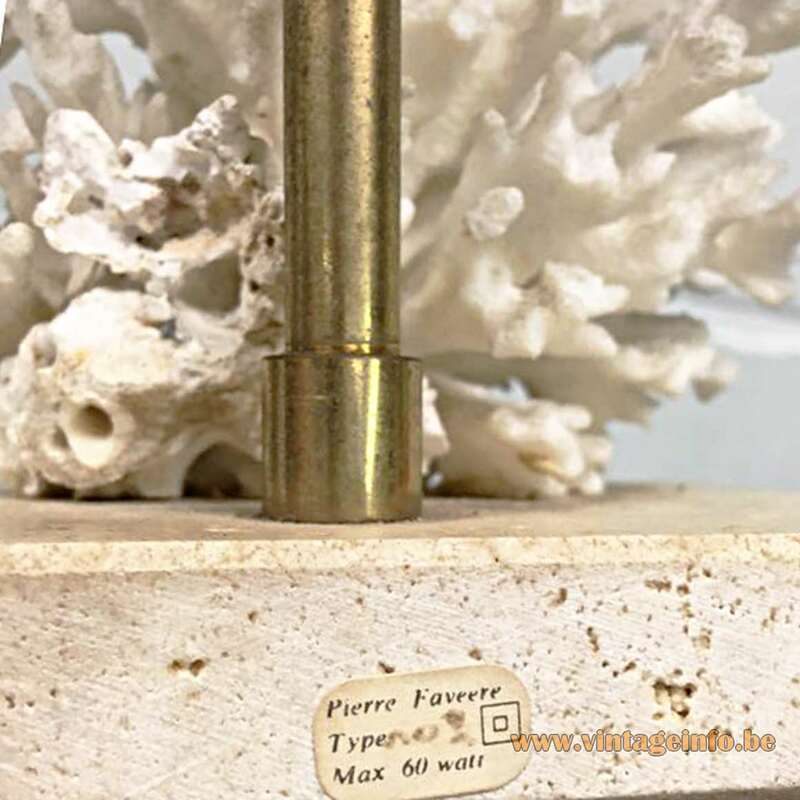 Manufacturer: Pierre Faveere, Belgium or France. Other versions: Different sizes, colours, other minerals, corals, shells and so on. 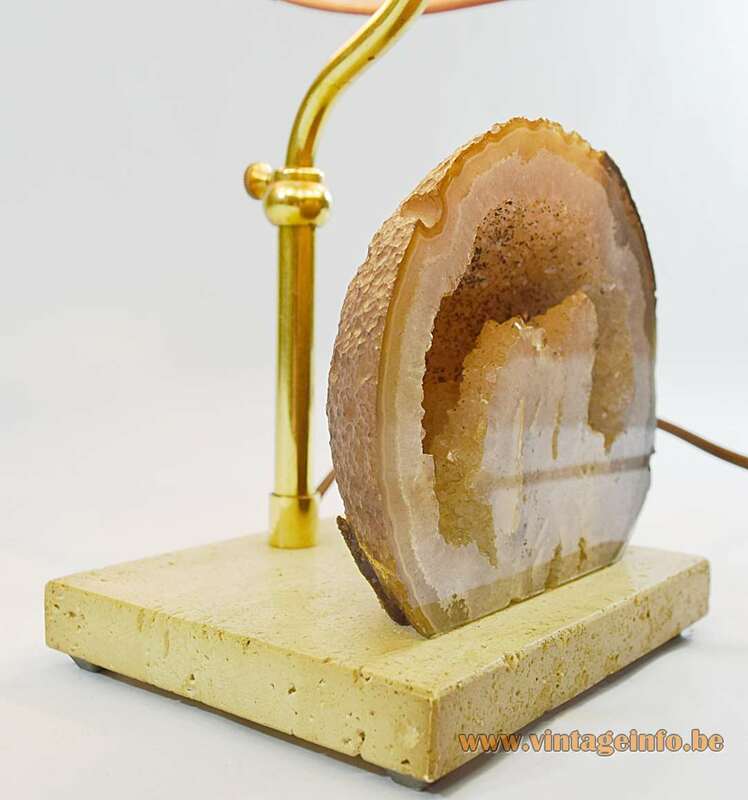 This agate table lamp has no label, but it is in all probability made by Pierre Faveere. 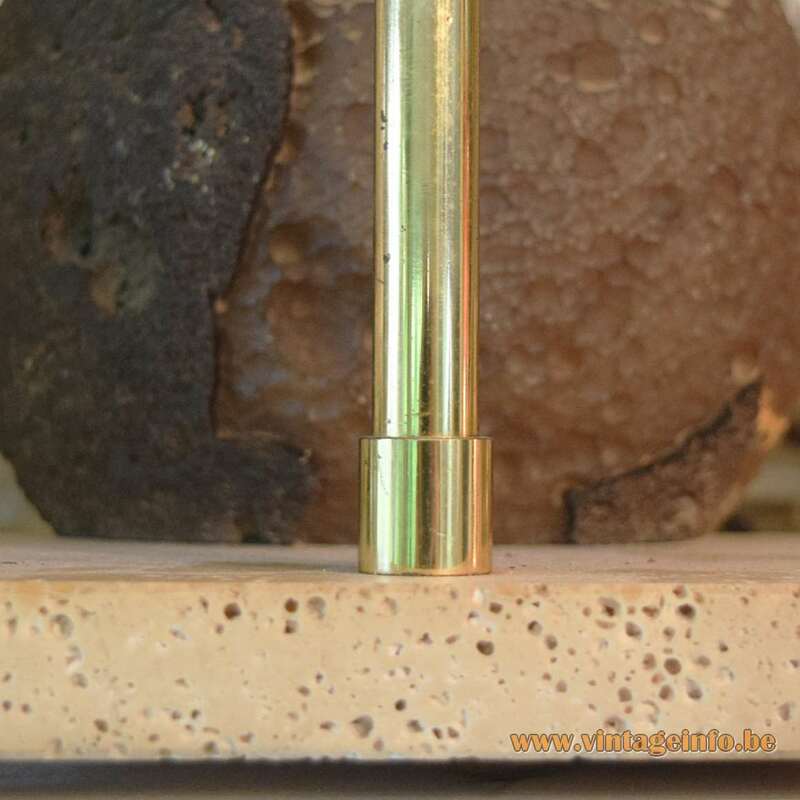 He used the same brass and travertine parts as you can see on the left. No information to be found about him, but the name Faveere exists only in France and Belgium. Willy Daro, Jacques Duval Brasseur, Henri Fernandez, Maison Honoré, Stan Usel, Isabelle Masson, Richard Faure, Isabelle Faure, Georges Mathias, Pierre Faveere and many others. 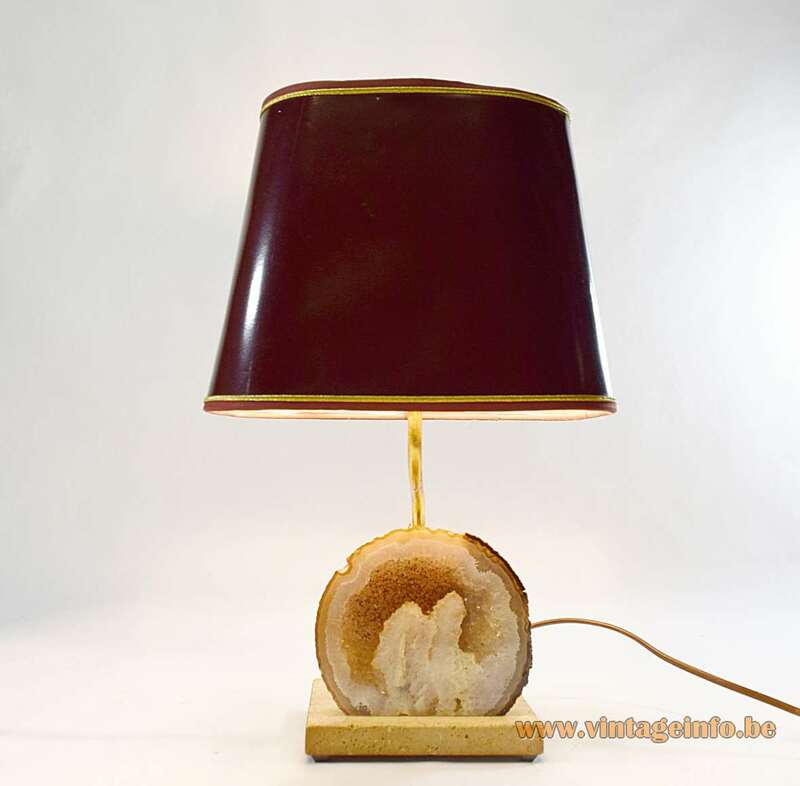 In the beginning of the 1970s almost every lamp-company produced table lamps in this style. Often made in Italy, France and Belgium. 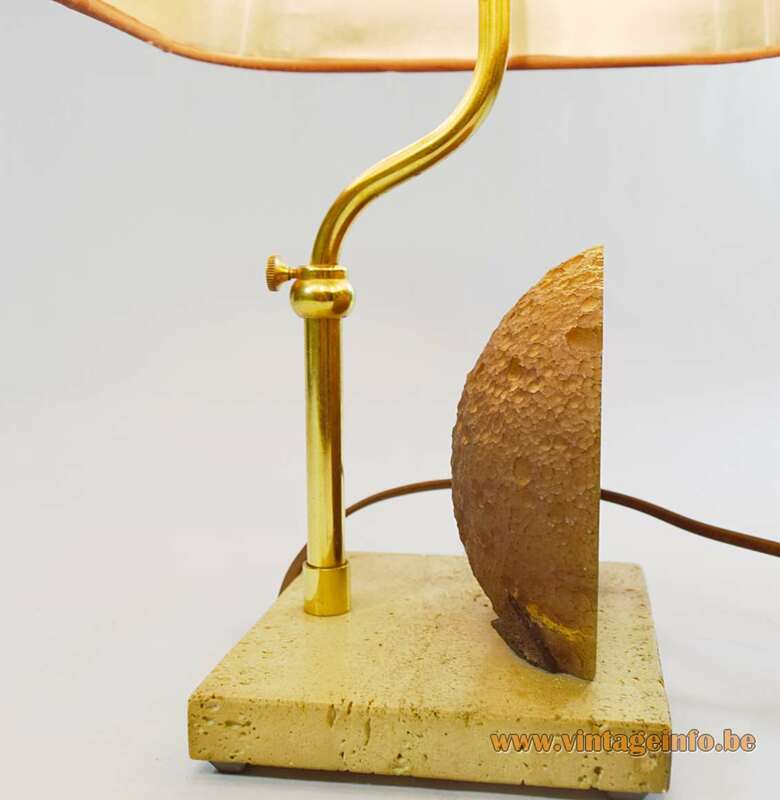 These lamps are generally attributed to the famous Belgium artist Willy Daro, who was the owner and creator of Les Nouveaux Ateliers Willy Daro SPRL, in Brussels, Belgium. 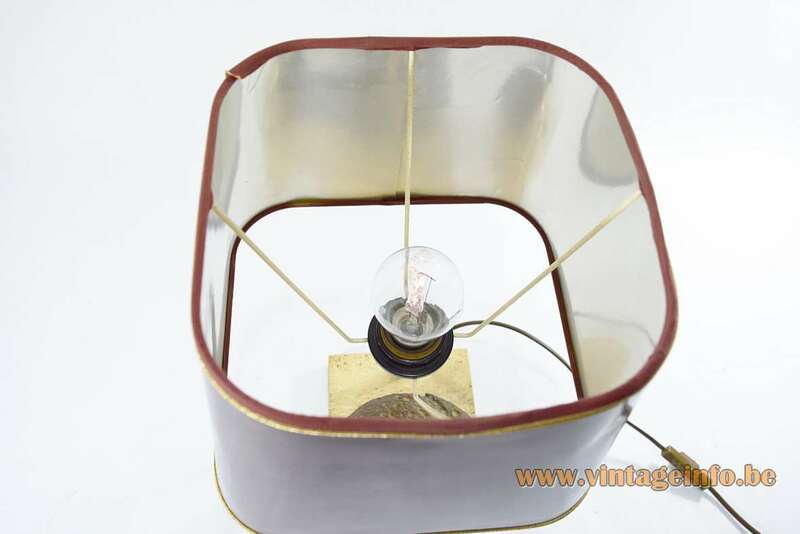 Below are 100% genuine Willy Daro lamps, the pictures were taken from his sons website a couple of years ago. The website no longer exists. The company itself ended business in 1987. 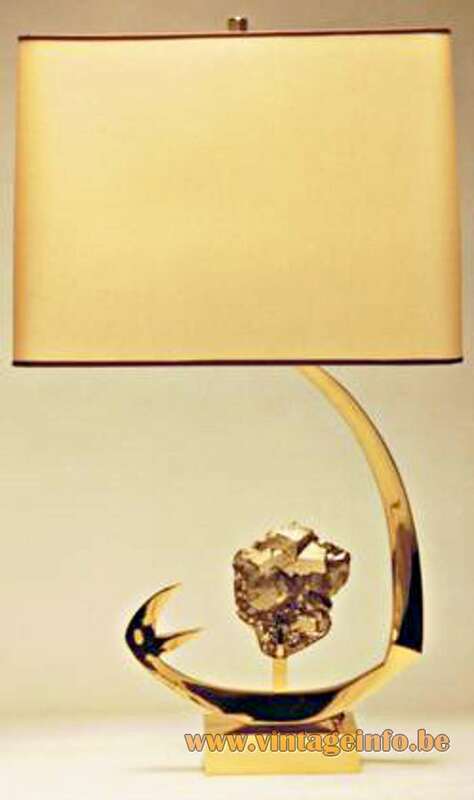 These lamps became popular because at that time the collecting of minerals, gems, fossils, shells and corals boomed. 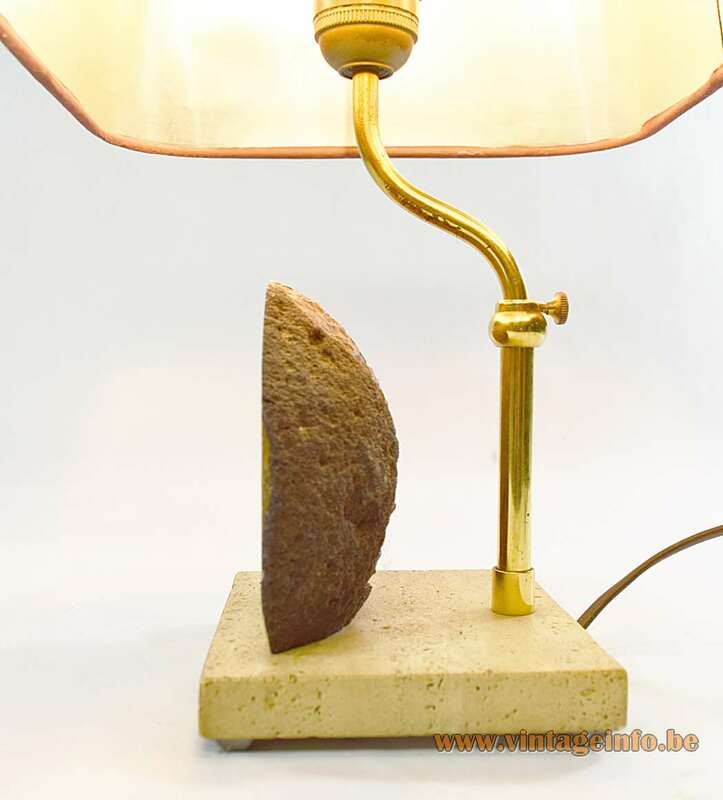 In almost each city appeared a store that sold minerals, fossils and corals, and also due to Willy Daro who made these lamps famous. 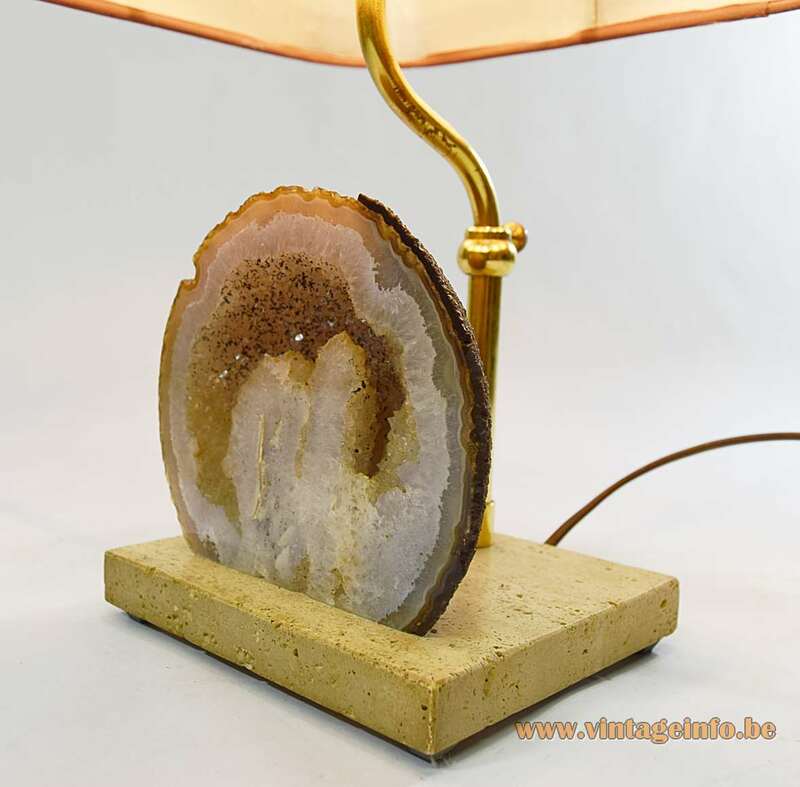 Most of the agates used for these lamps originate from Brazil, but this one is different. Agate geodes like this can be found in the quarries around Idar-Oberstein in Germany. Agates around Idar-Oberstein are found in the so called Rotliegend, in basalt flows from the Permian age. These flows produce many different types of agates.